One important fact to bear in mind with regard to medical malpractice cases is there is a statute of limitation on filing claims. This means that if you wait until more than three years after the onset of your problem — the moment you knew you needed to see a doctor — you won't be allowed to pursue legal action. The problem is, not every injury is initially obvious. It may take time to realize the nature and seriousness of an injury. This is why we counsel clients to call Watts Law Firm, P.C. , as soon as possible after your injury occurs or you suspect there may be a serious medical issue. Perhaps your injury will heal, or subside. But we want to speak to you sooner rather than later, so that one of our diligent lawyers can investigate and plan your legal strategy. If you have suffered an injury at the hands of physicians, drug companies or a hospital, we invite you to contact us at Watts Law Firm. In our litigation we are skilled at investigating and documenting the history of a case. We call upon medical experts who can testify about the nature and causes of — and the prognosis of your injuries. 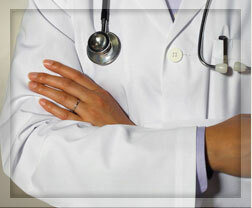 Watts Law Firm, of Woodstock, VT, is a respected medical malpractice firms. We look forward to hearing about your medical issues. We may not be able to restore your physical condition. But we can help you secure adequate compensation for your medical experience. Have you been victimized by medical malpractice? Contact the Vermont medical malpractice attorney at Watts Law Firm at (802) 457-1020.